As a journalist, I have done many dives in my past where I was a sort of pioneer. Not many had dived the Thistlegorm in the Red Sea, the Saratoga in Bikini Atoll or the Bianca C in Grenada when I first dived and wrote about them. I was one of the first (with Jeremy Stafford-Deitsch) to dive with the bull sharks in Walkers Cay and more recently I was one of the first to photograph Great hammerheads in Bimini. In every case I was followed by endless numbers of divers, who seeing my articles in magazine, quite naturally thought, “I want to go there too!” And why not? When divers hear about a really cool new bit of kit, a new all-singing-and-dancing computer or they see a really exciting dive site, they naturally want to have or go to the same. It’s very seductive. Some divers are probably less than competent to be in the water. Some are sublime professionals with everything under control – like Exley, Palmer, Parker, Shaw, Bennett and Molchanova. Like them, they got it right many times over but they only needed to get it wrong once, which each did – and paid the price. Some of us have done thousands of dives. I had up until a few years ago when I was diving intensely, but I’m out of practise now. I’m also older and a lot less fit. On the other hand, the golden years now that the kids have left home, are usually an opportunity to do those things we always wanted to do. Elderly men buy that motorbike they always wanted and find themselves sitting astride a space rocket they can no longer handle. 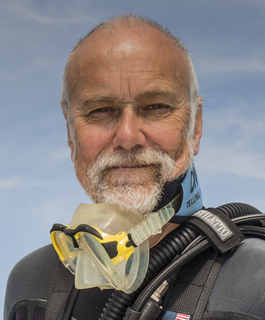 Elderly divers might splash out on the DPV they always wanted or a rebreather. We are tempted to buy all that stuff we previously denied ourselves. The majority of Undercurrent readers will be intelligent enough to know not to push themselves beyond perceived limits but I bet you’ve witnessed a few other divers doing what might be crazy things. How can that be? I blame it on peer pressure but whereas peer pressure was once confined to the people you met face-to-face, social media allows you to be ’friends’ with some of the biggest names in diving. Thanks for the article. I love it when industry pioneers speak their mind. It gives me hope and encourages me to never backtrack nor placate to industry norms. Social media has a role as does any new advancement or technology but I’m not sure if the industry has their eyes open, are really tuned in, or even care about the outcomes resulting from it. The industry seems to be taking away the best parts of good training — experienced instructors, mentors, and feedback — replacing it with 3 minutes of instant gratification, a thumbs up, a like, or an imoji. In order to issue more c-cards and sell equipment, social media has turned into the default instructors and default equipment spokesmen. Anyone can do a search for “diving accident” or even “scuba close call” to witness blunders that should have ended up far worse — “diver death.” The interesting thing is, I once did a search for “scuba skills.” I came across a PADI Advance Diver program only to witness divers: being vertical in the water column, clouds of silt, divers on fragile corals or other sensitive environments, divers handling dangerous or fragile sealife, divers removing scuba equipment to pose for photographs, unattached scuba equipment dragging behind them, and even a couple of divers (one under 15) at 149 feet. The audacity doesn’t lie in being recorded doing these things, is that certifying agencies don’t do anything about it. If that’s the world learned to dive, I think it would be an embarrassment to acknowledge that they were trained by those instructors and associatednd with that certifying agency. Furthermore, a default response that, “one can’t control what divers do after receiving their certification” is neglecting the fact that they should never have received a certification in the first place! Today’s certifications more closely resembles today’s “scuba experiences” or prizes at the bottom of the cereal box. If getting the prize (certification) requires only turning the box over on the table, the prize is never appreciated, it’s expected. A great article that should be appreciated by all divers; old and new.